RESERVE YOUR DRIVING EXPERIENCE TODAY! 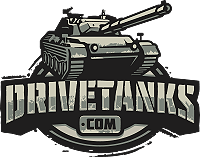 DriveTanks.com is the world’s premier historical military vehicle and weapon experience. 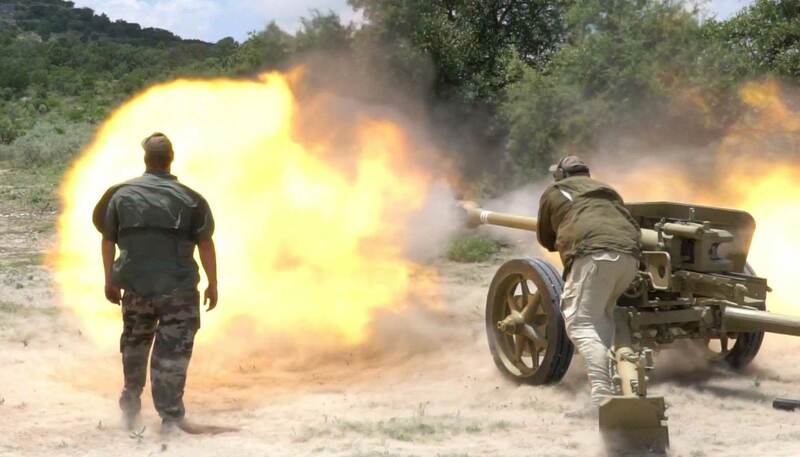 Located in Uvalde Texas on the Ox Ranch we are the only place in the world where you can drive and shoot real tanks, artillery, and machine guns in one location. 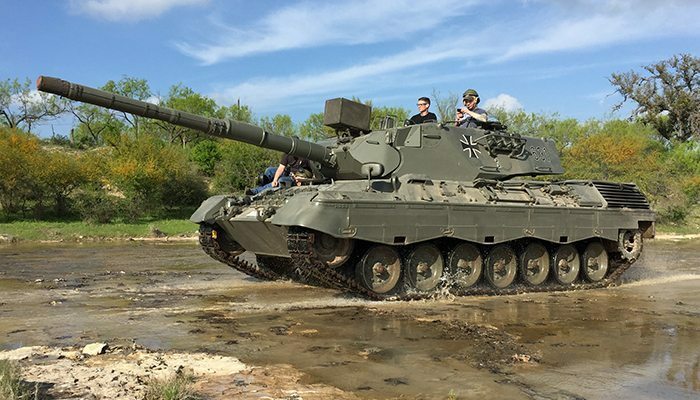 Drive an actual tank on our Combat Course, where you will traverse obstacles, drop-offs, water crossings, and much more. 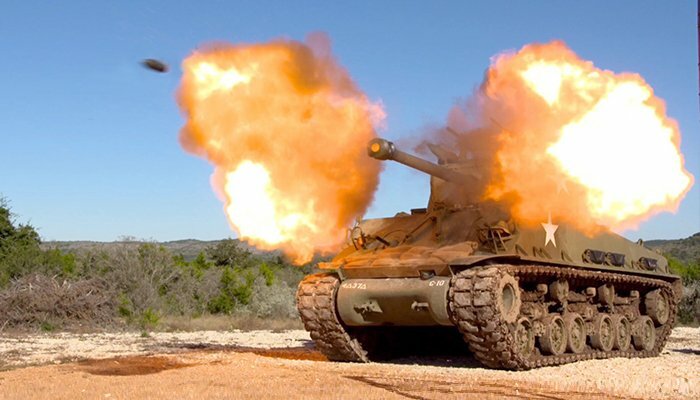 Shoot authentic, full powered tank rounds from iconic tanks such as a US Sherman, Soviet T34/85, or a British Scorpion. 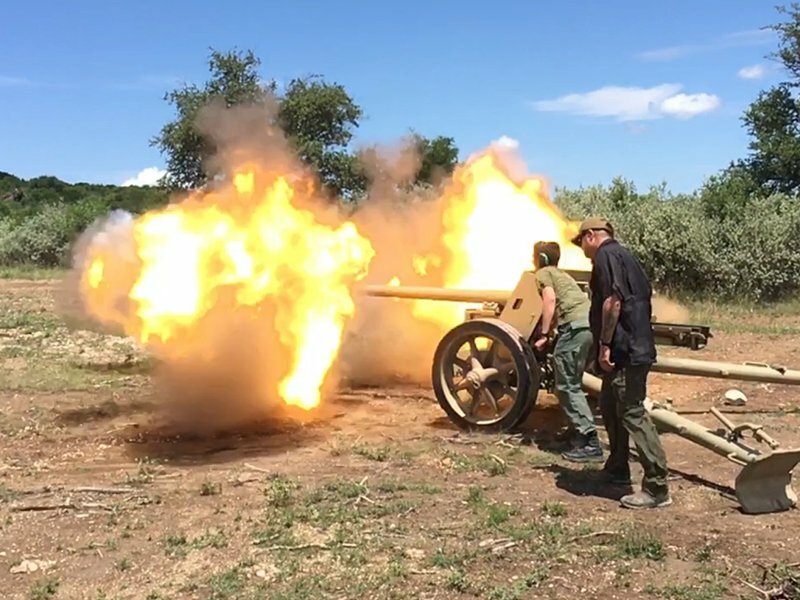 Shoot a US 105mm howitzer, a Soviet D20, or a German Pak-40 anti-tank gun, and much more. 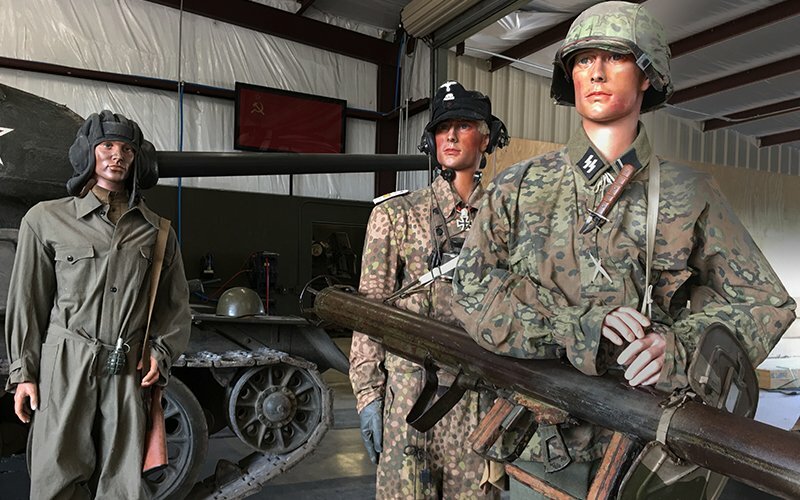 Get “hands on history” with our tanks, anti-tank guns, artillery, and machine guns.